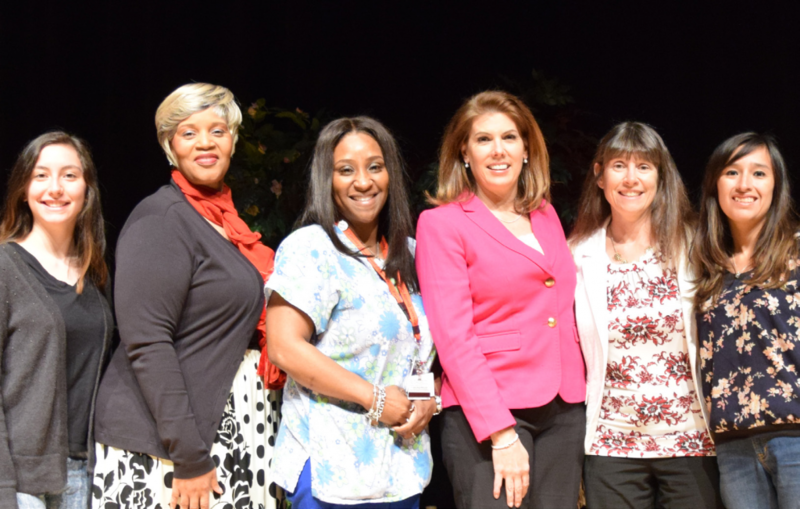 Wednesday, April 18th, Passaic County Community College invited MSNBC Senior Producer and News Anchor Dara Brown to speak to students as a part of the Distinguished Lecturer Series. Brown spoke in the Paterson auditorium and discussed things such as her childhood acting, balancing work with home life, what her job consists of, being a woman in the industry and topics such as the Me Too movement. The event was moderated by the school’s very own Professor Christine Redman-Waldeyer who advises the school newspaper and teaches courses such as journalism. The first series of questions presented to Brown were prepared by students who are a part of the Honors program. Later, more questions came from students who had prepared some prior to the event then questions were taken from the audience. Over 100 students came to the event and Brown stayed to speak with students before and after the event. English Major Jordan Robinson, said that what he took away from the speech was to, “Write what you want to write. You should also be truthful, and stand behind what you say.” Brown spoke on the importance of finding where you fit in your field quite a few times throughout the event. She encouraged the audience to try various things until we find what is right for us. This was the third time that the event was scheduled. Originally the event was scheduled for March 7th, but the school was closed due to a snowstorm. The event was then rescheduled to March 21st, but that was another snow day. The third time must really be the charm. The event began with a PCCC made compilation video of Brown’s childhood performances as Annie on Broadway, behind the scene footage of her early career and her journey to becoming a news anchor. Brown laughed with joy after the video and commented that she had a lot of fun watching videos she has not seen in years. Communication Major Jasper Edge ended the event and the series of audience questions by saying that he was thankful for her coming to the school and that she inspired him to stop being fearful, get the microphone and speak up. Earlier, when asked what was her biggest achievement other than motherhood, Brown said that she valued motivating others more than awards. She then the told story of how ABC Anchor Thomas Llamas was a night shift writer for her early in her career, and when he saw her he thanked her for giving him such a high pressure job and told her how it helped him. Brown was brought to the school by Professor Waldeyer who attends the same church as her. Professor Waldeyer was taken aback by her ability to balance her normal life with being an anchor on a major news outlet. 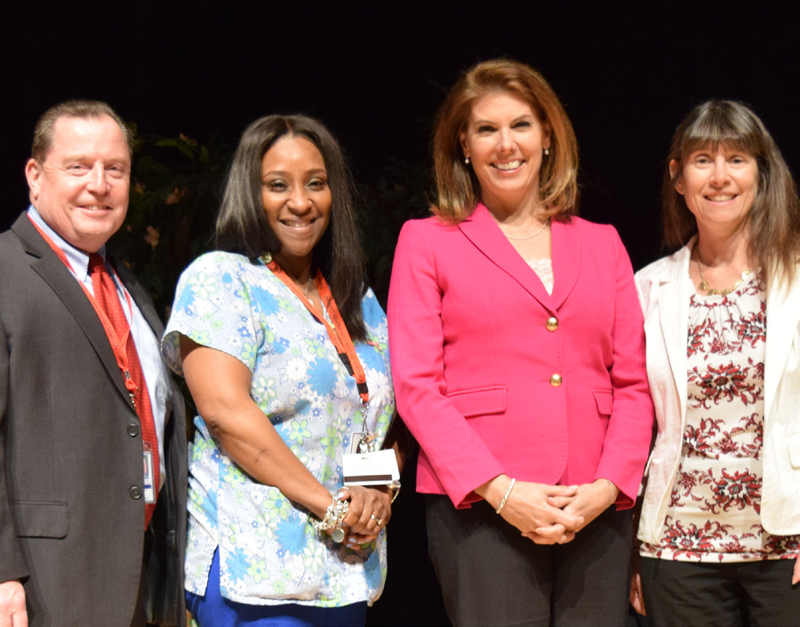 She then worked with the PCCC Distinguished Lecturer Series to create an event. This lecture was not the first of its kind. Other speakers who have been a part of the Distinguished Lecturer Series included former PCCC student Mayor Hector Carlos Lora who spoke last October.